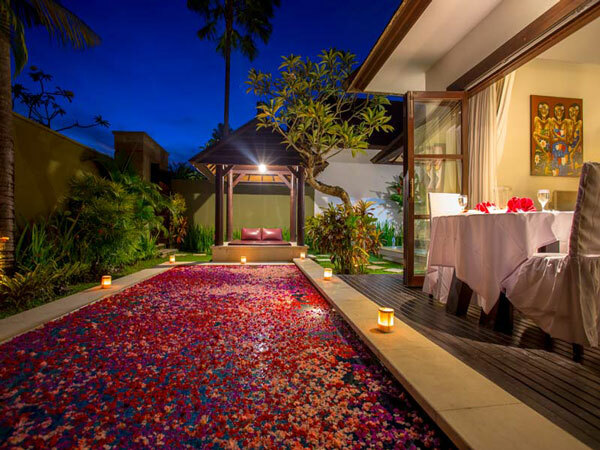 The Bidadari Villa and spa is located in Umalas Seminyak. It is approximetally 10 minutes drive from Petitenget beach, Seminyak. 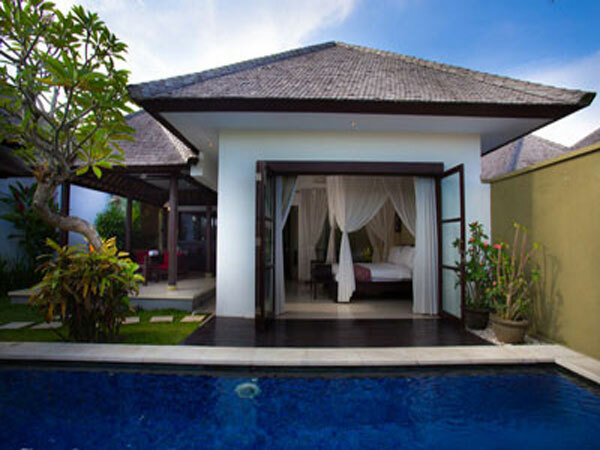 It offers 19 Villas with a private pavilion and swimming pool. Each villa has shower and bathtub, a separate living area, kitchenette and is well equipped with a flat-screen TV. Guests can enjoy some pampering by experiencing a traditional Balinese massage or one of The Yubi Spa divine treatments. 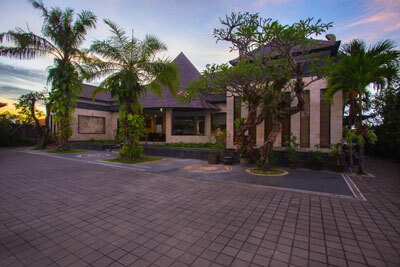 The resort provides car and motorbike rental services while travel arrangements can be made at Front Desk. Yubi restaurant serves a fine selection of international and local dishes. 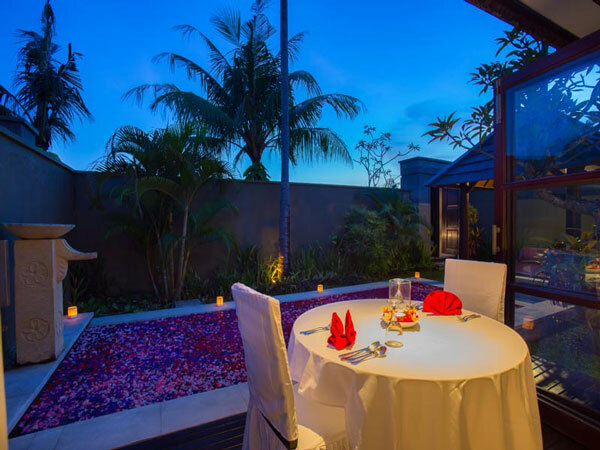 Romantic candlelight dinner, BBQ and Cooking Class in the villa are also available upon request. The resort is around 15-minutes drive from Seminyak shopping area and around 30-minutes drive from Ngurah Rai International Airport. Free shuttle services to Seminyak is available based on schedule. Pavilion, dining area and kitchenette. Each villa enjoys the utmost privacy, screened from outside by a Balinese wall and access from the private path-way to the entrance court yard. Adjacent to the living area pavilion with complete sound system, a CD player, DVD, Radio, TV cable and it is overlooking to the pool. Private pool villa with two king size bedrooms, separate bathrooms and shower with large living area pavilion, dining are, kitchenette, a lush tropical garden surrounding the villa, mild and tranquility for two couples or family. The villa has a two-storey, the roof pavilion with soaring ceilings with separate bathrooms, indoor bath-tub and showers. The pavilion with adjacent to the living area pavilion, dining area, kitchenette, the villa features a similar design, lay out and facilities, adjacent to the living area pavilion comfortable for family. Balinese and Indonesia herbs and spices blended from traditional recipes into modern-day beauty rituals.